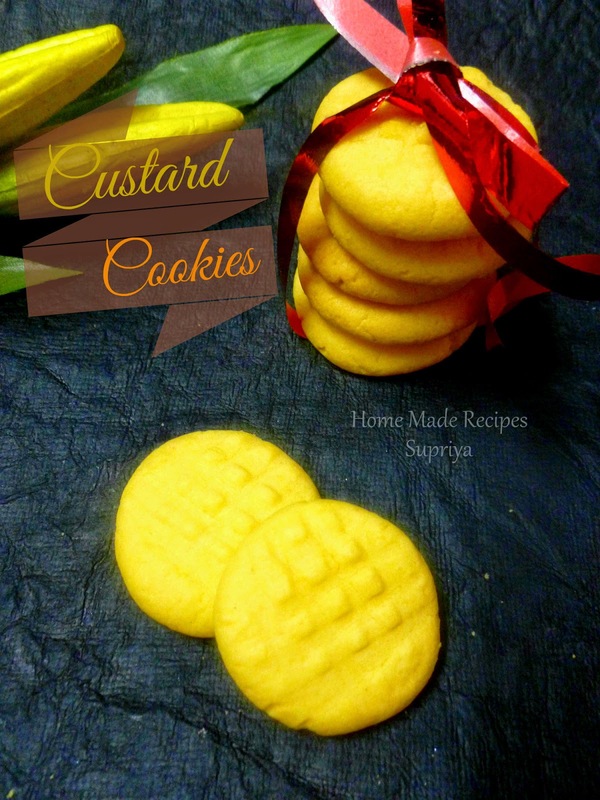 Custard Cookies are delicious bites which are easy with excellent texture made with custard powder mix. Tried my hands on this tiny bites last month and just loved it. 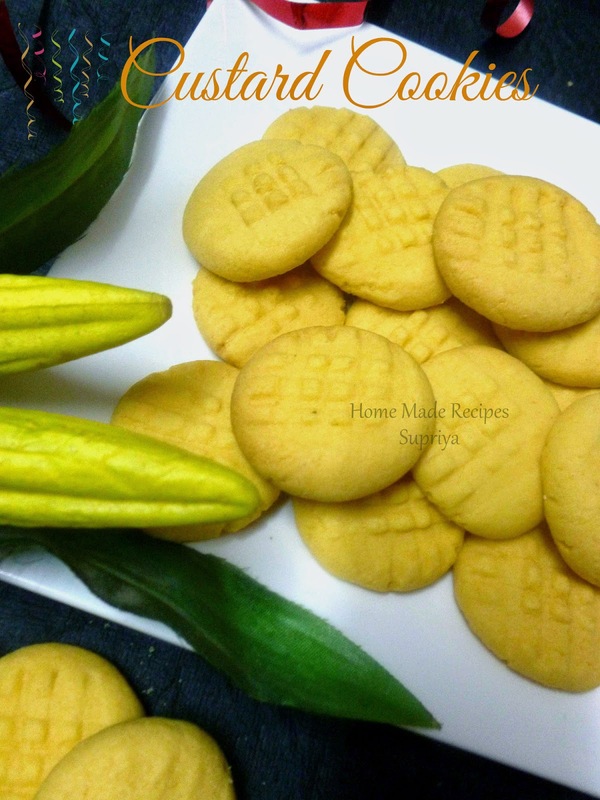 These cookies are again in demand by my loved ones at home. I love baking, especially cookies and which are easy ofcourse. After trying Custard Marble cake, one more recipe has been added to my custard powder recipe collections. My son too enjoyed marking the cookies with fork. 2. Beat an egg and add half an egg to the above mixture and mix. 3. Add maida and custard powder to the above mixture and mix. Make a soft dough. 4. Make small round balls out of the dough and coat them with some icing sugar. 5. Transfer them onto a baking tray and slightly press them with a fork. 6. Bake them at 180C for 15 minutes. Serve them when they are cooled down to room temperature. Enjoy with a cup of tea. 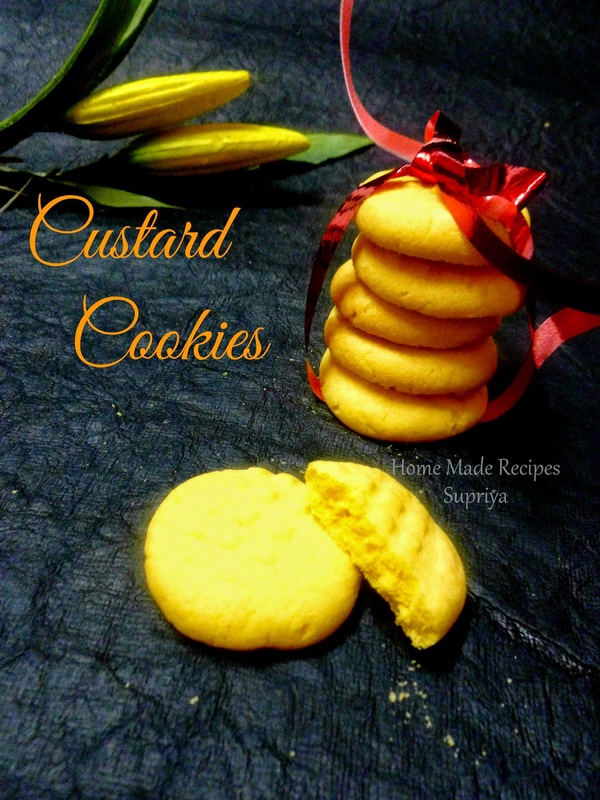 Check out more Custard powder recipes here.